New Moon blessings, everyone! Today we will have a New Moon Partial Solar Eclipse in the sign of Aquarius! The 5 of Wands is not likely to be your favorite card, and you may be wondering how to put it to its best use today. At face value, this card is representative of struggles, conflicts and competition, presumably not words you wish to hear right now. In order to make good use of today’s card, let’s first consider that this is a New Moon, and an Eclipse. So, the three examples I gave above, if you wish to apply them to today, would really be to take an opposite approach. When something is eclipsed from your life, it can indeed feel very permanent. Let’s say it is not something you wish to lose at this time…avoid the conflict. You always hear me say at the New Moon that it is best to NOT ENGAGE, and an Eclipse is like a New Moon on steroids, so unless you are looking for an ending, you would be wise to not become embroiled in arguments, etc. 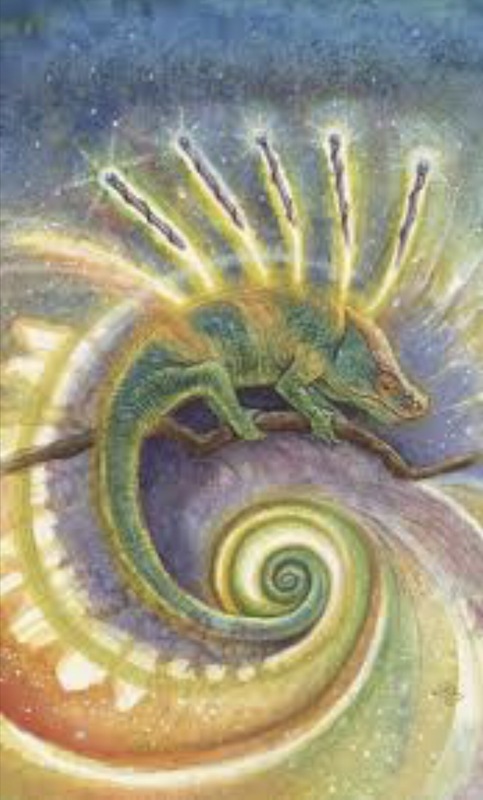 What works best with the 5 of Wands today is to focus on your own goals, and to harness the energy of the New Moon in Aquarius for your most positive and productive intentions. Therein lies your success, not in confronting every challenge, or attending every argument to which you are invited.